Skellig Michael is a steep, rugged, twin-peaked crag located 11.6 k m off the west coast of county Kerry, Ireland. The reason why you want to go to Skellig Michael is to visit the well-preserved monastic settlement built 600 feet above sea level. And of course, if you’re a Star Wars fan, to see the locations used in “The Force Awakens” and “The Last Jedi.” The only Jedis in evidence on Skellig Michael will be those who dress in the part during their visit. The route out to the Skelligs is via boats licensed by the Irish Office of Public Works (OPW), which travel from places like Portmagee from May to October. Even if you book with a licensed operator, the vagaries of the weather mean that you can never be sure that you’ll get to the island. The OPW might close the island if the weather is too severe and boats will not go across if the sea conditions are too rough. Typical boat used to travel to Skellig Michael. Note the swell – and this is on a day with little wind. In our case, we were lucky to travel on a day between two bad days. Even so, the conditions varied enormously from clarity in Portmagee through a transit in a sea mist with visibility down to 50 meters before we landed. During the two and a half hours allocated on the island, the mist gradually cleared but never disappeared totally. The ride back was in bright sunshine and some on the boat were sunburnt when they got back to port. Is cover available in the boat in case of rain during the transit? What facilities are available on the boat? For instance, a working and clean toilet. How long does it take to get to the Skellig? Our boat was slow and was passed by many others. This might be important if you are prone to seasickness. We took 75 minutes on the outward leg and a little longer on the return. The extra time was accounted for by a visit to Skellig Bheag (“little Skellig”), an uninhabited twin of Skellig Michael where landings are not allowed. Skellig Bheag supports a colony of 60,000 gannets and some seals. How much does the trip cost and how can you pay? We paid a deposit of EUR20 each online via credit card to reserve the trip, but then had to pay the balance in cash on the boat. The ticket mentioned this point, but it’s easy to forget to have EUR80 each after you make a booking many months in advance. There is no ATM available in Portmagee if you turn up without cash. Overall, you should expect to spend about six hours travelling to and from Skellig Michael and the time on the island. The landing place at Skellig Michael. It’s not always this calm and sunny. The weather can change dramatically on Skellig Michael. Remember, you’re out on a rock in the Atlantic Ocean. As such, make sure that you wear appropriate clothing and can deal with rain, sun, wind, and a combination over a short period. Good footwear is critical because much of the climb up to the monastic settlement is over roughly-hewn medieval stones set into a steep gradient. The initial phase from the landing point via the helicopter pad lulls you into a false sense of security because it’s over a well-made path that doesn’t cause any concern. Support chains are available to hold in two places on the climb, but you’re on your own for the vast majority of the ascent. Many people bring ski poles or sticks to support themselves. The settlement dates from about the 6th century and was occupied until the 12th or 13th century. It features six beehive-type cells, two oratories, and a church together with walls, slabs, and crosses. The settlement has been a world heritage site since 1996. It’s easy to spend 90 minutes or more investigating the different aspects of the settlement, including the system used by the monks to trap rain for their freshwater supply. The area can be crowded but patience and good humor makes sure that everyone gets the photos they want. There are no bathrooms or other facilities on Skellig Michael. Anything you want has to brought with you, and if you’re taken short you’ll have to find somewhere safe and discreet to do your business. It’s physically harder to climb up to the settlement but it can be as demanding to descend back to the landing place. The steepness becomes more apparent, especially on the walk down from Christ’s Saddle when you can see the open sea beneath you. View from the Wailing Woman rock towards the landing point with Skellig Bheag shrouded in mist. Note the boats waiting to come in to pick people up from the island. For those interested in fitness trackers, I registered about 6,500 steps on Skellig Michael, and my device told me that I had gone up the equivalent of 85 stairs. Anyone in reasonable physical condition will be able to make the climb, provided that they take their time and pay attention to where they place their feet. On the return, most boats travel around Skellig Michael to see the lighthouses (original and new) and the original landing place used by the monks before heading across to Skellig Bheag. The estimate is that 60,000 gannets use Skellig Bheag as their nesting place before they head south in September. The smell of so many gannets is quite something, as we discovered when we arrived downwind of the island. You can also see grey Atlantic seals on Skellig Bheag. The last sight before turning back for the mainland was the view of the Elephant’s Trunk on Skellig Bheag with Skellig Michael in the background. A trip to Skellig Michael is absolutely worth it. Go in June or July if you want to see the Puffins (they had all departed when we were there). Make sure that you are well-equipped for the weather and the climb and remember to bring water and something to eat. Sea bands or tablets can help to avoid seasickness on the rides out and back from the island, and when you get back ashore have a pint to celebrate seeing something that’s very unique. Last Friday night, I received a note from “Hyman Cipolletta” using the Outlook.com account rriivoryorz@hotmail.com. The message header shows that the message originated in a North American server (Namprd12.prod.outlook.com) in the common Office 365 infrastructure shared by Exchange Online and Outlook.com. 0.75 BTC is EUR5,276 or US$6,147 at today’s rate, so the sender of this note had serious intentions. They demonstrated that they knew something about me (my Gmail address and an old password) and laid out a rational explanation for what might had happened. The flaw in the argument was that I knew I hadn’t been near any adult video sites, so the description of a keylogger being installed on my PC couldn’t have happened. And without the keylogger, no contacts from Facebook, Messenger, and email could have been gathered. But if you had been tempted to go near such sites, it’s possible that what was described might have happened, which is why scammers lay out a plausible story in the hope that some of the millions of people they send email to will panic and believe that their watching habits would soon become public. Brian Krebs broke the story on July 12 and it seems like since then scammers have been working their way through a store of stolen email addresses and passwords to try and convince as many as they can to send them various sums of money. I guess I should feel good that my demand was at the high end of the spectrum as others have been asked for far less. What’s distressing is that some people are paying the scammers. @SecGuru has been able to keep track on some payments (Figure 2) and it seems like the scam is profitable. How Did the Scammers Get My Data? If you go to Troy Hunt’s Have I Been Pwned site, you can find a list of sites where attackers have stolen email addresses and passwords. Looking through the list, I find sites that I use, like LinkedIn, where over 164 million addresses were compromised, and Disqus, also with sites that I occasionally used, like Ancestry.com. A simple check revealed that my email address is on 4 breached sites, so the scammers have a choice of sources where they can find my address. In any case, the password cited in the email is an old one that I don’t use today. This means that the combination isn’t worth much to hackers, especially as I use multi-factor authentication (MFA) whenever possible to protect any important site that I use. If you receive an email that contains a password you still use, you should obviously change that password on any site where it is still active. And if possible, take the choice to use multi-factor authentication to improve security. Services like Gmail, LinkedIn, and Office 365 support MFA. Above all, don’t respond to the scam. Ignore the message, unless you feel that you should report it to the local police force (as recommended by some experts). Personally, I don’t think that most police forces can do much about this kind of scam. I reported the email to Microsoft (use Outlook’s Report Message add-in) so that they can improve their ability to block rubbish like this in their anti-malware tools. The popularity of email as the lingua franca for communication across the internet means that attackers like finding new ways of poking at human vulnerability to make money. This is just another example of a scam that’s popular right now. Do the right thing and secure your passwords and you’ll be fine. Stay safe! Original release: July 1, 2018. We’ve launched a new web site to host information about the book. The change log for Office 365 for IT Pros is now located there. This document describes the changes made to the book since its original release. The document is up-to-date as of the version released on August 4, 2018. We try and release an updated version regularly, usually on a Saturday unless something like a major conference disrupts our ability to produce an update. We have released 4 updates for the 2019 edition since its publication: 7 July, 14 July, 28 July, 4 August. You can find update information on the inside cover of the book. We can only ask Amazon to update monthly and even so, sometimes they do not agree that we make enough changes to justify them sending a notification to customers that they can download the updated file. Chapter Changes for Office 365 for IT Pros, 2019 ed. 4 Aug 4 Customer lockbox approver role now available. 4 Aug 6 New workflow to delete users in the Office 365 Admin Center. 4 Aug 8 Modern team sites can be created without being connected to an Office 365 Group. 4 Aug 11 Some UI changes for Office 365 Group creation in OWA, so we updated our figures. 4 Aug 13 Meeting settings for a tenant have been transferred from the Office 365 Admin Center to the Teams and Skype for Business Admin Center. 4 Aug 20 Inserted text dealing with non-English characters in search keywords. 28 July 1 Microsoft stores some AAD attributes for user accounts in the U.S. Added number for commercial cloud annualized run rate after Microsoft Q4 FY18 results. 28 July 2 Updated statistics about Microsoft cloud network. 28 July 8 Microsoft has paused the roll-out of the increase of versions for SharePoint and OneDrive document libraries. 28 July 12 Added more text about how to update photos for guest users. 28 July 13 Microsoft announced that Teams has reached feature parity with Skype for Business Online. Meetings now support up to 250 participants. Added text to describe how the inline translation of messages feature works. 28 July 14 Discussion about how to mark Office 365 Groups as team-enabled. 28 July 19 Minor wording changes. 28 July 24 Rewrote section explaining how to apply protection to messages with transport rules and included text to explain how to insert AIP labels with transport rules. Also, technical editor picked up a couple of things that we fixed or improved. 14 July 7 Improved the script to report shared mailboxes. 14 July 8 SharePoint Online now supports page metadata. 14 July 9 Added link to Microsoft Graph training available on GitHub. 14 July 12 Rewrote section about Classifications in the Groups policy. 14 July 13 Teams supports keyboard shortcuts to zoom in and zoom out. Information about the free version of Teams announced on July 12. 14 July 17 Added new statistics for email usage in 2018-2022. Added sections on Mail Flow Insights (new dashboard) and SIR rewriting for P1 addresses to avoid SPF failures on forwarding. 14 July 19 Added clarification about tracking holds placed on inactive mailboxes. 14 July 21 Be more specific about the audit events generated for SharePoint Online. Also, Microsoft has announced that they will enable mailbox auditing by default within Office 365 by the end of 2018. 14 July 22 Tracked down some bad hyperlinks and fixed them. Refreshed some graphics. 7 July 6 Fixed some typos and improved some PowerShell. 7 July 7 Several updates after a technical review of content that we couldn’t complete before publication. 7 July 8 Idle session timeout policy for SharePoint and OneDrive is now GA. Also, 8 new cmdlets are available to help with SharePoint migrations. Added new section covering features that Microsoft has deprecated in SharePoint Online. 7 July 9 Minor clarifications in text. 7 July 10 Microsoft will remove the old OME app from the Apple and Android stores on August 1, 2018. Also, Microsoft is making some changes to EWS for Exchange Online. 7 July 12 Added information about how to add photos for guest accounts. 7 July 13 Added some extra context about hiding teams from Exchange clients. 7 July 24 Microsoft will enable rights management automatically for eligible tenants from August 1, 2018. Also, a change in how Exchange transport processes email sent to Teams channels means that you cannot send encrypted messages to this destination. All good things come to and end and it’s time to finish up with the 4th edition of Office 365 for IT Pros. We will cease work on the 4th edition on July 1, 2018 and retire the edition soon afterwards. Originally released on June 1, 2017, we have updated the 4th edition 51 times since to keep pace with changes inside Office 365. We added a net total of over 150 pages of new content during the year. We hope that you enjoyed the book and found it helpful in your work. We are now preparing for the release of the 2019 edition of Office 365 for IT Pros. Why 2019? Well, Microsoft’s 2018-19 fiscal year starts on July 1, 2018 and we want to align our release to their fiscal year. We also call this book the fifth edition, so you can use that name if you prefer. Although we added a lot of new content to the 4th edition, we know that we needed to expand into new areas of Office 365. The 2019 edition includes a chapter on Flow for the first time, has a dedicated chapter for the basics of SharePoint Online and OneDrive for Business, together with in-depth coverage of the transition of Skype for Business Online to the Microsoft Phone System and Teams. We have restructured the book to create a more natural flow and taken the opportunity to slim the book a little by removing older (but still valuable) content to a companion volume that will be available separately. Our author team has changed too, as we say goodbye to Paul Cunningham and Michael Van Horenbeeck and welcome Paul Robichaux, Jussi Roine, Juan Carlos González Martín, Gustavo Valez, and Brian Reid. We thank Paul and MVH for their work on the last four editions of the book and welcome our new contributors, all of whom are MVPs and well qualified to take up the challenge. Our plans for the 2019 edition are to follow a somewhat more relaxed update cadence. Some of our readers are uncomfortable with a weekly update, so we are focusing on a monthly update now. This does not mean that we will not release more frequent updates to cover important news from Microsoft, but in general, we’re not going to be as hectic as we were over the last year. Office 365 for IT Pros (2019 edition): This is the book we will update regularly. You can download a sample chapter (2) here. Office 365 for IT Pros (2019 companion volume): A separate 250-page eBook with information that changes less often than the topics covered in the main book. Most of the current text in the companion volume is taken from the 4th edition We think the information is still useful, so we’ve moved it into the companion volume. When you buy online, you get the books in PDF and EPUB formats. We will continue our arrangement with Amazon to publish a Kindle edition too. However, because you cannot use the same “two books in one” arrangement for Kindle, each book is available separately. Office 365 for IT Pros (2019 edition). Office 365 for IT Pros (2019 companion volume). As a special launch offer, you can get a $10 discount until 8 July 2018 by using this code. If you bought a copy of the 4th edition from Practical365.com, please wait to receive the email from Practical365.com with an even better offer for you. When you buy a book, you also get a subscription that last for at least one year from July 1, 2018. Subscribers can download updates as they are released during the subscription period. The subscription model enables us to dedicate the time necessary to track, document, and debug (sometimes) change as it happens inside Office 365. We think that our subscription represents extraordinary value because you get a great book (worth the price on its own) and its updates. If you subscribed through Practical365.com, you should download update 51 of the 4th edition using your Practical365.com account to make sure that you have the latest files. The thing about a cloud service like Office 365 is that it never stops changing. We’ve already started the process of tracking updates for the 2019 edition. We expect lots of announcements and interesting changes to happen at the Microsoft Ignite conference in Orlando in September. The challenge now is to keep pace and keep writing. You can get news about what we do by checking in here or on our Facebook page. Or follow me on Twitter @12Knocksinna. We launched the first edition of the Office 365 for IT Pros eBook at the Microsoft Ignite conference in Chicago in May 2015. At that time, the book was called Office 365 for Exchange Professionals and it was some 600 pages long. Indeed, it was short enough for Microsoft to print 500 copies for distribution to Ignite attendees. Like Office 365, we’ve come a long way in three years. The 4th edition has grown to 1,150 pages and covers much more than Exchange Online. In 2015, it was natural to focus on Exchange at the start because email was, by far, the biggest workload within Office 365. Things are different now and we’ve seen the advent of applications like Teams and Planner and the growing popularity of SharePoint Online and OneDrive for Business. To match this change, we have invested enormous effort to transform and expand coverage to the current position. 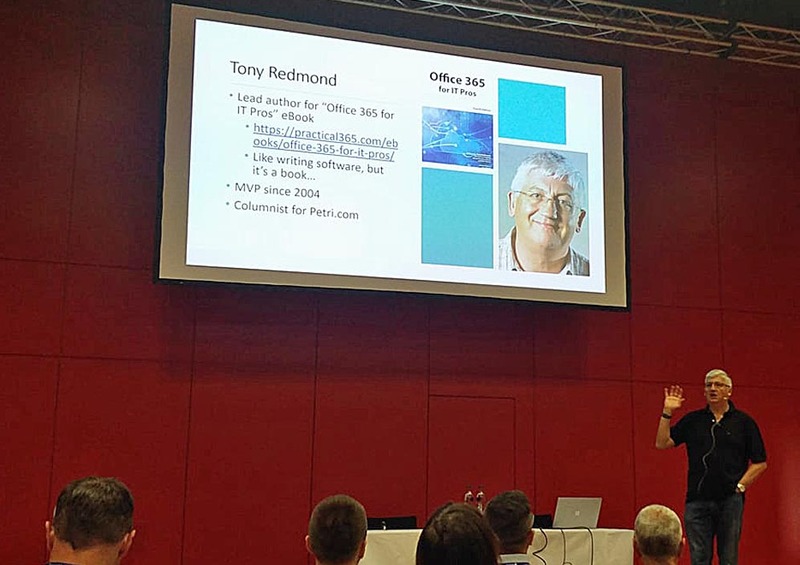 As we transformed, we continued to focus on giving administrators insight into how Office 365 works the way that it does, with lots of practical examples of how to solve common deployment and management issues. We published the 4th edition on June 1, 2017. We are now approaching the release of the 5th edition in early July 2018. The 2019 in the title refers to Microsoft’s 2018-2019 fiscal year (usually called FY19), which begins on July 1. When the 5th edition is available, we will stop updating the 4th edition. The 4th edition will remain online until October 1, 2018 to allow people who bought this edition to update their copies with the latest files. Apart from being able to restructure the book to reflect developments inside Office 365, one of the reasons why we create new versions is to bring new authors into the writing team. After four editions, MVPs Paul Cunningham and Michael Van Horenbeeck are stepping down from the author team to take up new challenges. I am delighted to announce that Office 365 MVPs Paul Robichaux, Brian Reid, Juan Carlos González Martín, Gustavo Velez, and Jussi Roine have joined the author team to expand the pool of expertise available to generate great content. I’m sure that many of you will have had the chance to read previous books and articles by these authors or listen to them speaking at conferences such as Ignite, TechEd, and Office 365 Engage. Ståle Hansen and I continue as authors and Vasil Michev continues as our technical editor. To make it easier to manage our content, we will split the 5th edition into two volumes. The “main book” is our focus for ongoing updates. It covers new topics like Flow, the transformation of Skype for Business Online to Teams, and includes big updates for SharePoint Online and OneDrive for Business. It continues to deliver comprehensive and updated content about Office 365 Groups, Teams, Compliance, and other emerging areas within Office 365. We have moved content that does not change as often into the “companion volume.” Here you’ll find chapters on hybrid connectivity, public folders, and so on. With the introduction of the companion volume, we are dropping the “bonus material” that we had for the fourth edition. Subscribers will have access to both books and all updates issued for both books during the lifetime of the 5th edition. Together, the two books amount to roughly 1,250 pages (PDF). Our normal practice is to offer previous subscribers who bought the book through Practical365.com a low-cost upgrade to the new edition. We will be in contact with subscribers soon to outline these arrangements. The upgrade fee covers all updates that we will issue for the 5th edition. Unfortunately, we cannot offer an upgrade for the Kindle version. Amazon doesn’t have the facility to allow this to happen. Like previous editions, you can buy the fifth edition in two ways. You can treat the book like any other traditional volume, buy it as a one-time purchase, and never update the content. You’ll still get great value, but given that Office 365 keeps on changing, we think that the traditional model is old-fashioned and not well suited to coverage of subjects like cloud technology where change happens all the time. This is why we adopted a subscription-based ongoing-update model from the start. We plan to update the 5th edition for at least a year. We updated the 4th edition very frequently (51 updates for the book covering 315 separate chapter updates) to keep pace with change within Office 365. At times, it seemed like we were updating text as quickly as Microsoft updated features. The upshot was a constantly evolving, always changing book charting the progress of Office 365 over time. Although we issue completely new books in PDF, EPUB, and Kindle formats for each update instead of forcing people to read original text alongside addendums and errata, some of our readers told us that a weekly update cadence is too frequent and that they were unable to keep track of changes. Accordingly, we will move to more of a monthly update cadence for the 5th edition. Subscribers will be able to download updated files as often as they want. Kindle continues to be a challenge when it comes to making updates available. Amazon’s perspective is that they do not like asking customers to download updates because people lose bookmarks. This approach works well for novels and other material that does not change often. It’s obviously different when you have a book about a cloud service like Office 365. Before Amazon informs customers that they can download updated Kindle files, we must convince Amazon that sufficient change exists. We try to do this roughly once a month. Sometimes Amazon agrees, and sometimes they decline. We will continue to work with Amazon to make sure that customers have access to updates as quickly as possible. We could not have executed this project without a great deal of help from fellow MVPs, Microsoft, and Quadrotech Solutions, our sponsor. Most of all, we appreciate the support we have received from people who bought copies of the book, including many who have purchased every edition. Without support like this, we would have no reason to keep pushing ahead to understand and document Office 365, to write the PowerShell examples, investigate hidden corners of the service, and push out regular updates. We hope that you will join us on the next stage of our journey. My wife and I recently had the privilege of travelling to the Galapagos islands to spend seven days looking around. The Galapagos is a very special place where the vast majority of the land area is preserved by Ecuador as a national park. Humans are confined to small settlements near the coasts. 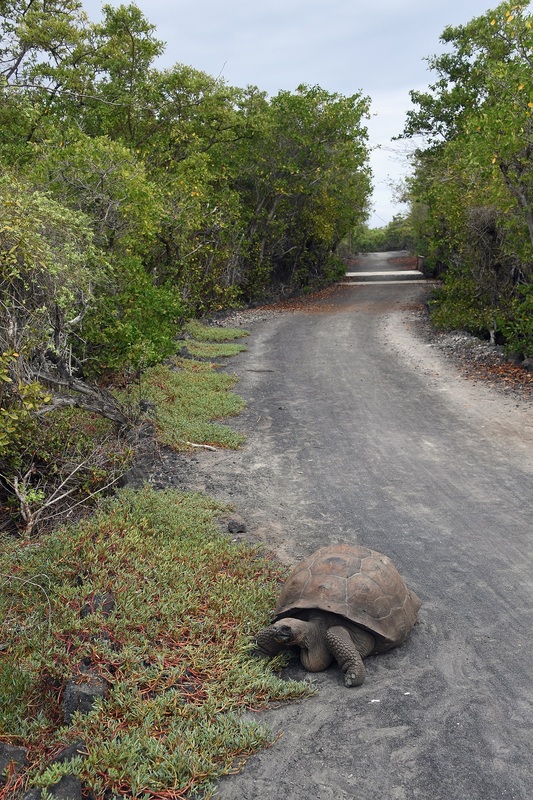 Because so little territory is available to tourists (more is available to scientists and researchers), many people who go to the Galapagos follow a well-worn track between the different places that they are allowed to visit. This doesn’t take away from the joy of the trip; it’s just something you have to accept must exist for good reasons. 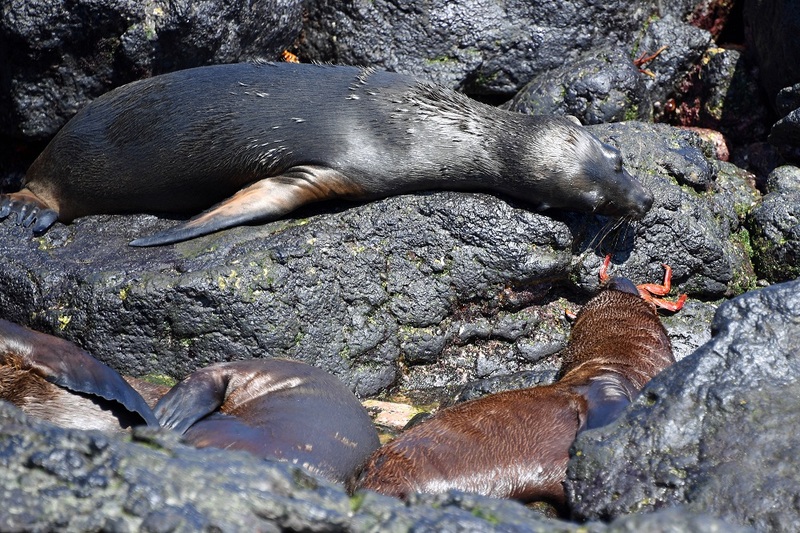 In any case, this blog post is my attempt to capture some of the interesting animals and sights that visitors can experience in the Galapagos. I hope you enjoy it. Anyone going to the Galapagos will probably want to see the wildlife. 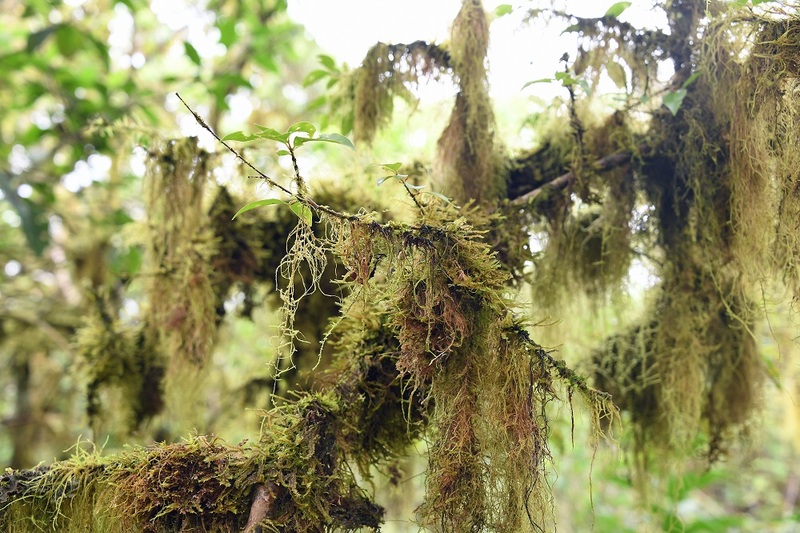 After all, the islands are a protected ecosystem full of plants, animals, and birds that have remained pretty undisturbed by human activity, so it’s a special place. Some of the touring companies talk about seeing the “Big 15,” which include iguanas, tortoises, boobies, sea lions, and penguins. Because some of the species are only present on certain islands, your ability to see all of the Big 15 is dictated by your tour itinerary. 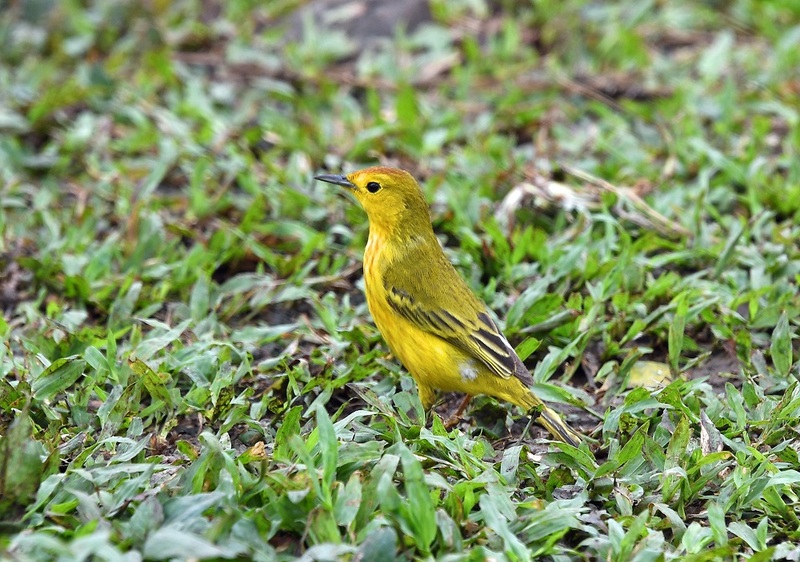 Being an avid photographer, I wanted to photograph as many species as I could during our week in the Galapagos. We didn’t get to see them all(my count is 8 of 15), but we enjoyed what we saw. Here’s some shots to show what I mean. 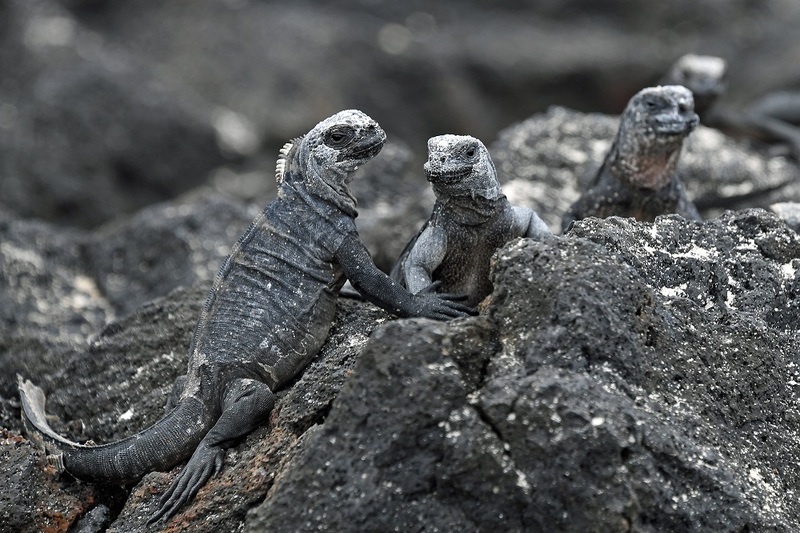 Marine iguanas are very common. 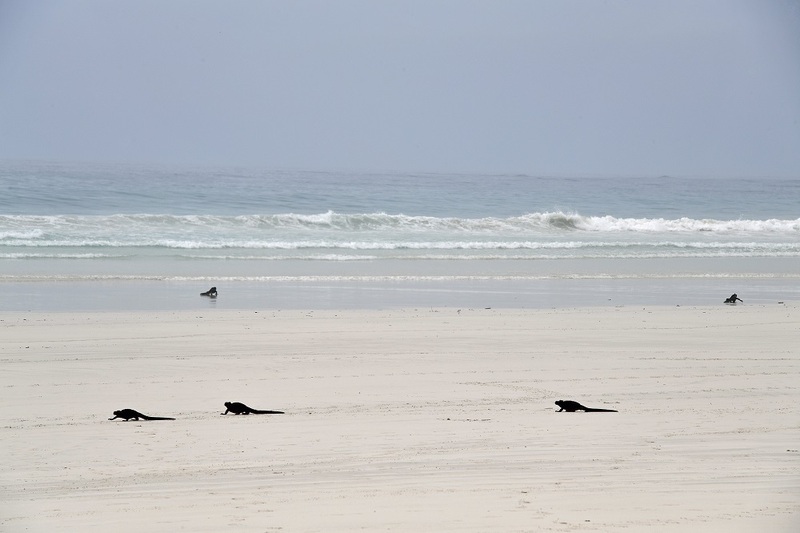 Whether it’s strolling around beaches like Tortuga Bay (Figure 1), just hanging out on rocks (Figure 2), or baby iguanas relaxing on rocks as they shed their old skins (Figure 3), you’ll meet iguanas everywhere. Best of all, the iguanas care very little about human presence, meaning that it is possible to get very close. The authorities would like you to stay at least three feet away from the animals, but sometimes they come nearer. 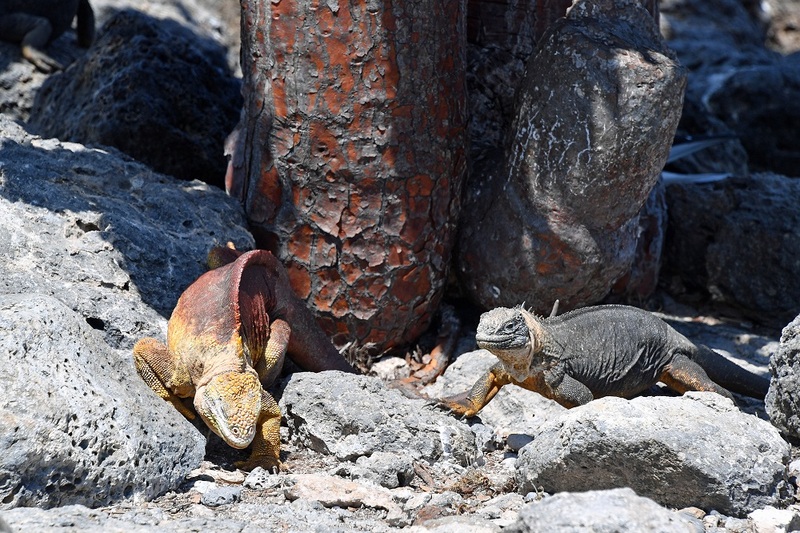 Or you can stay away and use a telephoto lens to capture the colors and texture of the iguanas (Figure 4). In whatever case, the excitement of seeing your first iguana soon reduces to a blasé nod when someone says “oh look, there’s an iguana…” They are really that common. 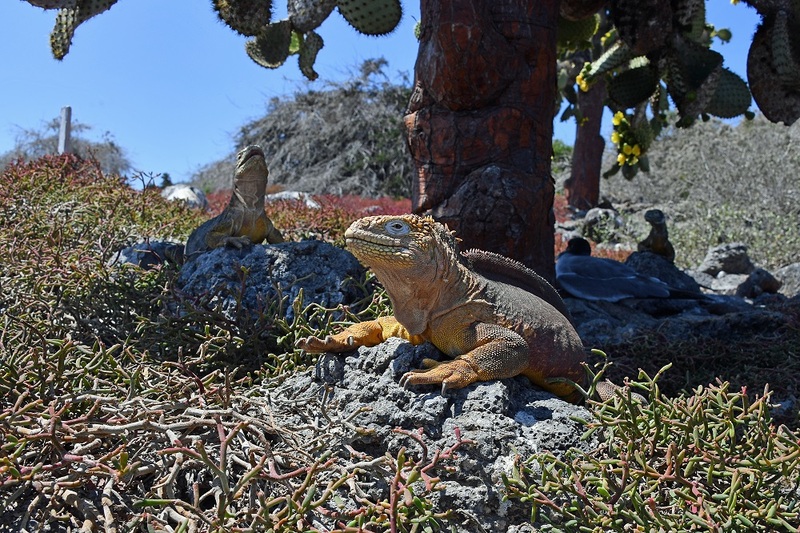 Land iguanas are rarer than marine iguanas, but you’ll still see plenty of them in places like South Plaza island, which is commonly used for tours. 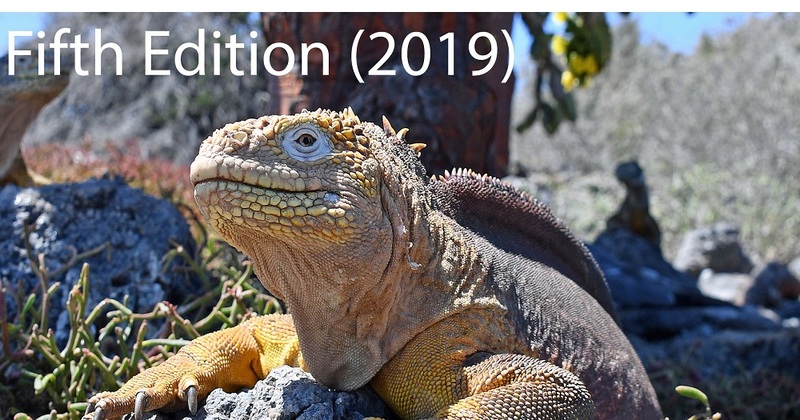 Land iguanas are more colorful than their marine cousins and are often found sitting under cactii, waiting for flowers to drop to eat (Figure 5). 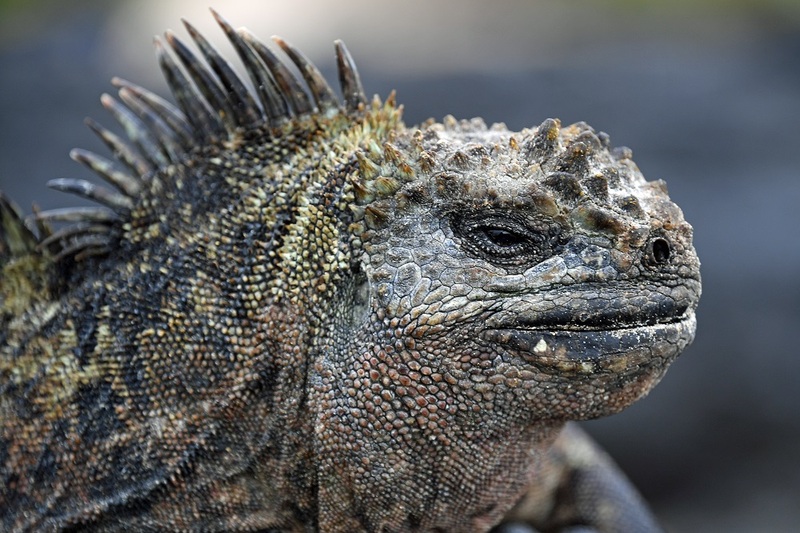 Sometimes you see hybrid iguanas, the product of mating between marine and land iguanas. In Figure 6, a regular land iguana is to the left and a hybrid iguana to the right. 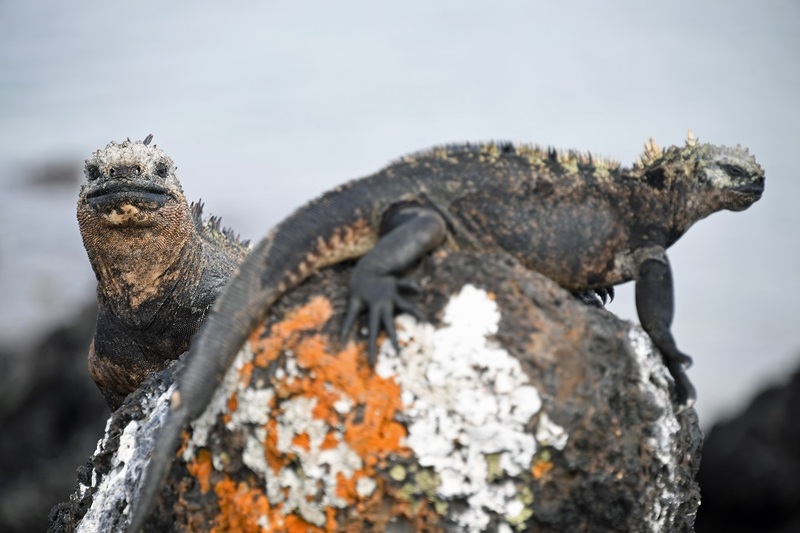 You recognize the hybrid by its coloring and lack of the dorsal fin seen on marine iguanas. 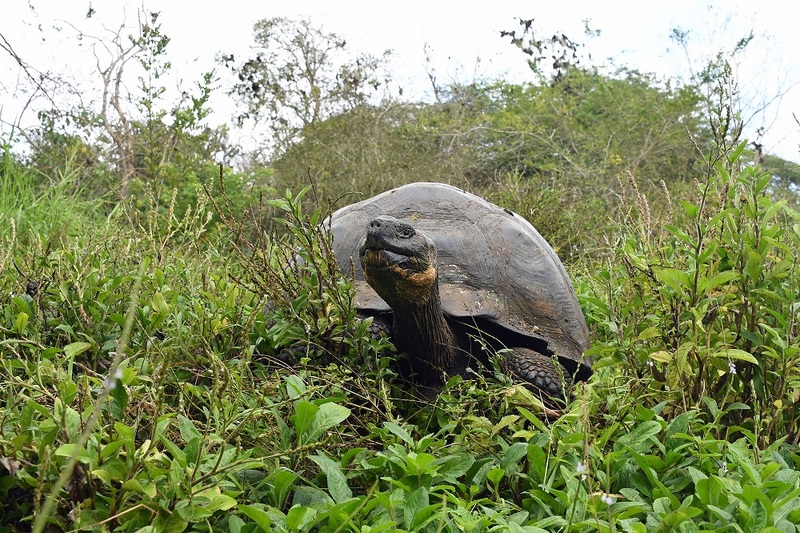 The giant tortoises are another “must-see” Galapagos species. 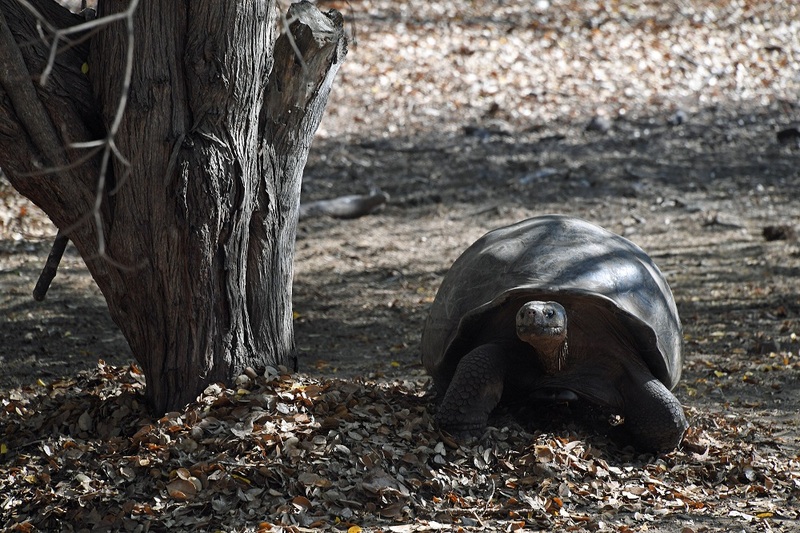 We visited a tortoise reserve near Puerto Villamil, where a breeding program is in place to help repopulate areas where tortoises have been wiped out due to human-introduced pests like rats, donkeys, and cattle. There are plenty of tortoises to be seen (Figure 7), including tons of young tortoises at different stages of development, but you always know that the animals are in captivity. Obviously, it is much better to see an animal in its natural habit. Our first glimpse came on a walk to the “Wall of Tears” (Muro de las Lágrimas) on Isabella. The walk is about a 10 km round-trip trek and it’s not something to do without having good shoes, sun cream, and lots of water. Our guide said that we might see one or two tortoises en route, but we were lucky to see twelve, including some deep in the undergrowth. The easiest to see where those on the roadway (Figure 8). Some of the tortoises were under impressed at meeting walkers and others were nonplussed and got on with the job of finding the next meal (Figure 9). According to our guide, after a careful examination of tortoise poop, the tortoises in this location liked eating cactii. Even better was a visit to the Rancho Manzanillo Tortoise Preserve on Santa Cruz. Apart from having a pretty good restaurant on site, the Ranch has lots of tortoises roaming free across fields and ponds. 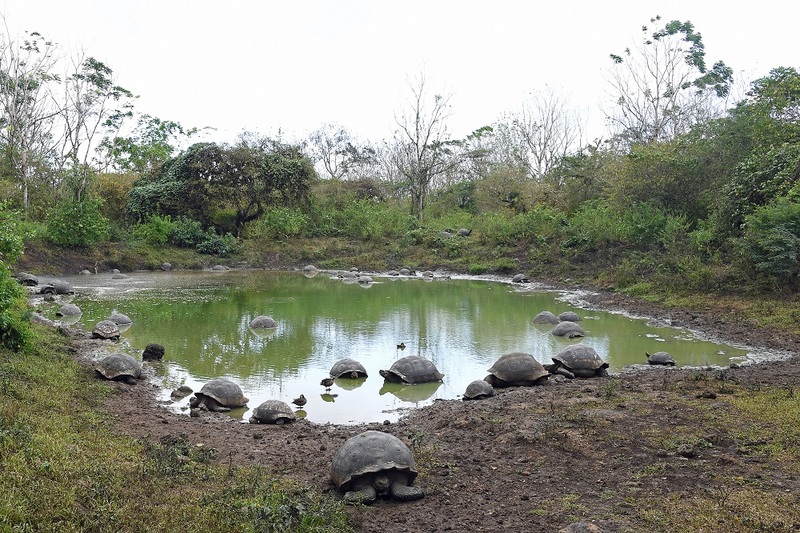 This is a great place to stroll (avoiding all the poop and other mucky places) and have a tortoise encounter (Figure 10), including the chance to see how tortoises use pond water to cool down and remove parasites (Figure 11). 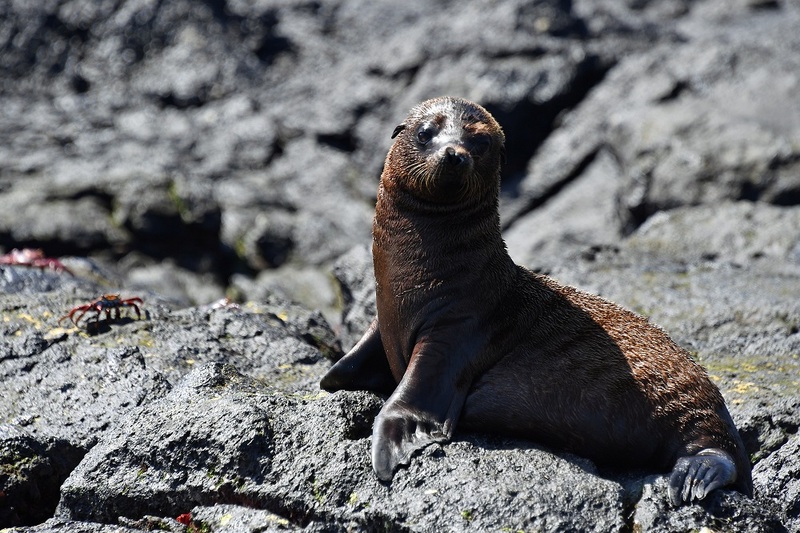 The Galapagos sea lions are related to the Californian sea lions, only smaller. 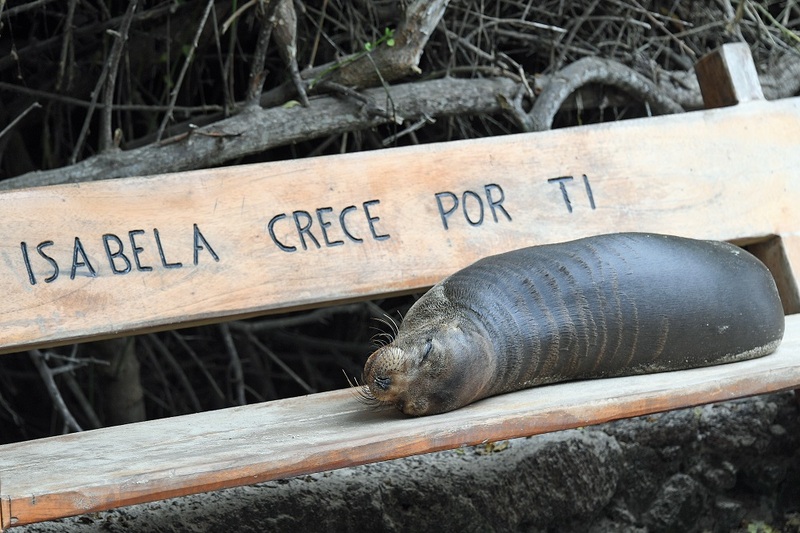 Again, after a while you stop noticing sea lions because they are everywhere, including on park benches (Figure 12). A trip to South Plaza island provided a more natural encounter with sea lions, including the chance to watch a shark patrol offshore waiting for one of the sea lions to make a mistake (none did while we watched). Many of the animals we saw were pups, as their mothers were off fishing for food (Figure 13), while the bulls that were present patrolled their territories to warn off any potential invaders. Being young, the pups were playful and the local crabs served as available toys. It was interesting to watch the pups pick up the crabs and toss them between each other (Figure 14). Things weren’t so good for the crabs because invariably the sharp teeth of the sea lions cracked their shells. But mostly the sea lion pups wanted to rest and did so without taking much notice of nearby humans. 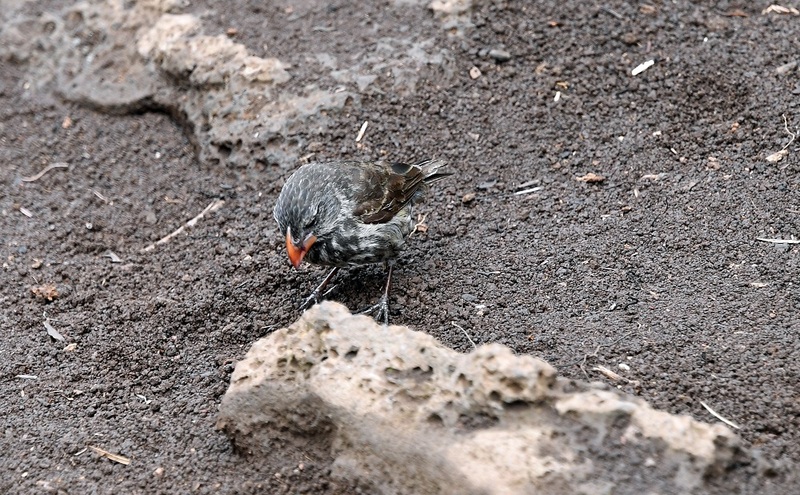 Figure 15 shows a typical pose and also shows the kind of lava rocks that are so common in the Galapagos. 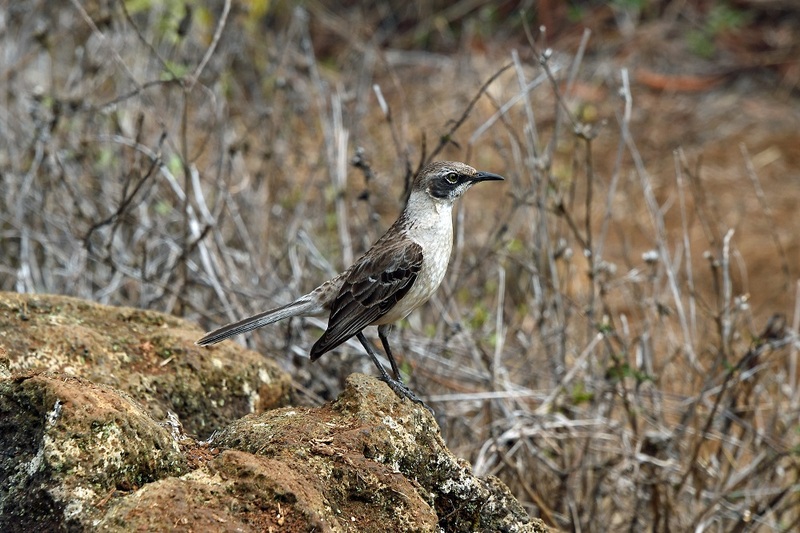 Many of the activities in the Galapagos involve transits from one island to another. If the trip is short, it will probably be in a “panga” (dinghy). 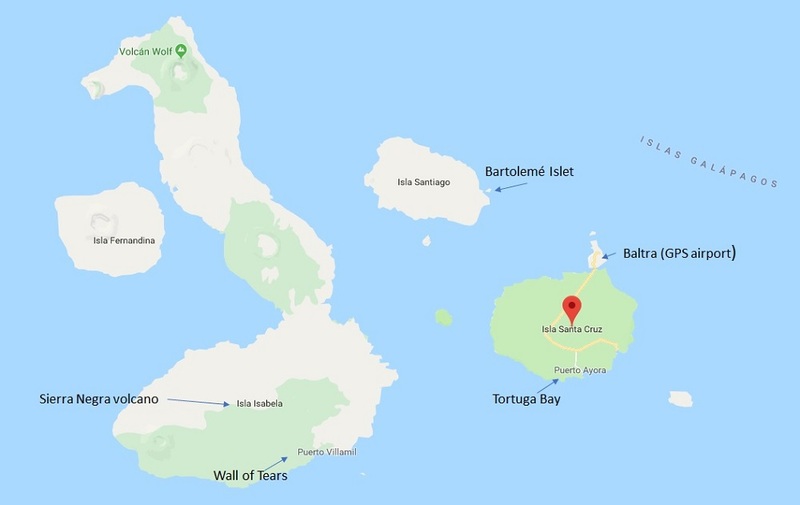 If long, you’ll probably end up in a motor yacht, which turned out to be a nice place to spend the two hours or so needed to get from the Ibabaca Channel (between the islands of Baltra and Santa Cruz) to Bartolemé, an islet off Santiago island. 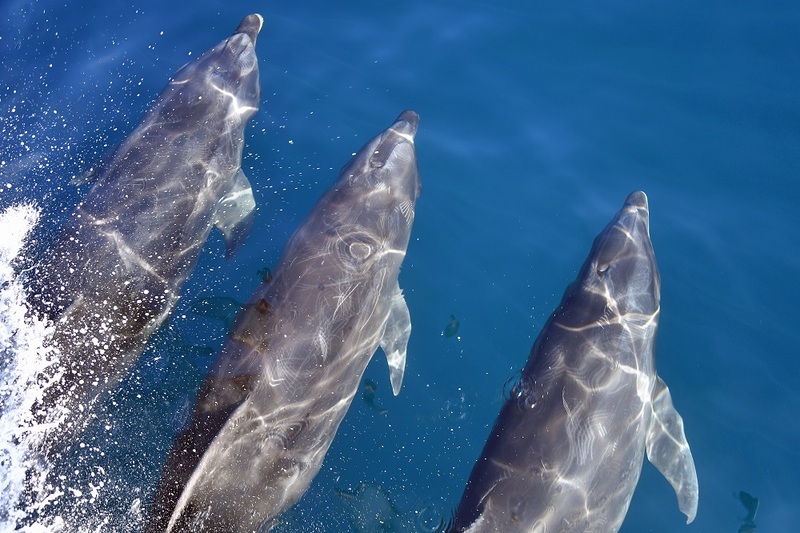 En route, a pod of dolphins turned up to play at the bow of the boat. The pod put on quite a show (Figure 16) and were a highlight of the visit, even if dolphins aren’t in the Big 15. Blue footed boobies are definitely part of the Big 15 and also feature extensively on souvenir t-shirts sold throughout the islands (you can probably guess some of the slogans). 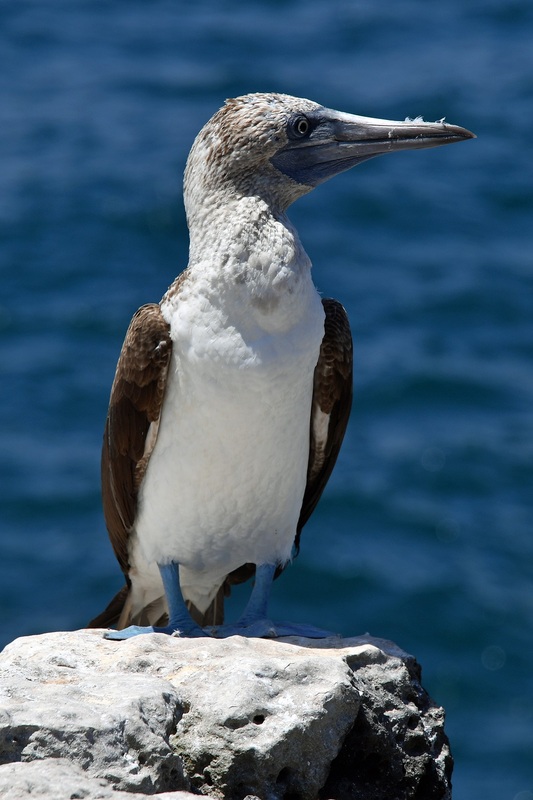 We saw boobies on South Plaza and Bartolemé, but never saw a Nazca or red-footed boobie. Apparently, the bluer the feet, the more food the bird has consumed. If this is true, the boobie in Figure 17 has fed pretty well. On Bartolemé, the boobies were at the famous Pinnacle rock, which we approached in a panga, so it wasn’t quite so easy to see (Figure 18). 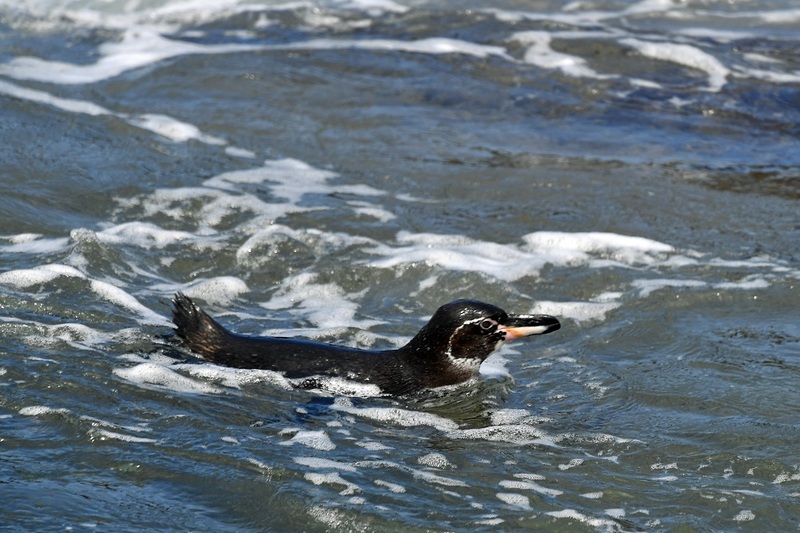 The Galapagos penguin is a small breed that is the only species of penguin found north of the equator. We saw individual penguins on Isabella and Bartolemé. In most cases, the birds were sitting peacefully on rocks (Figure 19), but some were swimming (Figure 20). Frigate Birds are part of the Big 15 because of the large red pouch displayed by male birds during the mating season. It wasn’t the right time or the birds were too busy flying to display pouches, but they were certainly present everywhere in the islands. 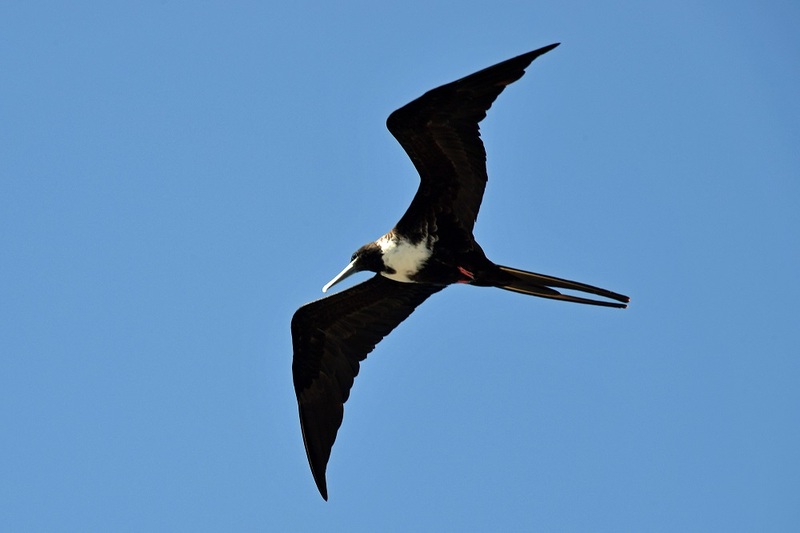 Apparently, frigate birds like to cruise on air currents (Figure 21) looking for other birds who have food, in which case they swoop down to steal whatever’s going. Near the tortoise reserve on Isabella, there are a series of briny lagoons where you see American Flamingos (and the compulsory iguanas). 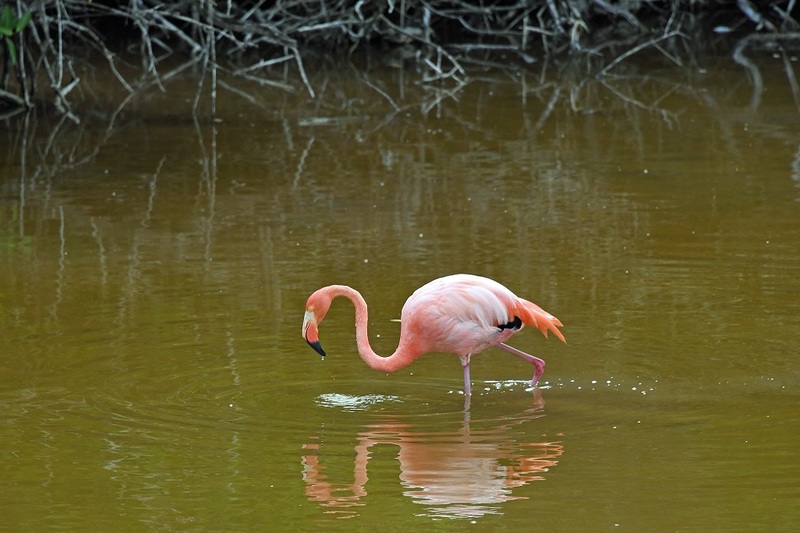 The deep pink color of the flamingos (Figure 22) is determined by their diet of carotene-rich shrimps, which they sieve through their large beaks. The pinker the bird, the older it is… or so we were told. Finches were the sources of many of Darwin’s observations about the origin of the species. There are many different types of finches, some of which are still evolving. 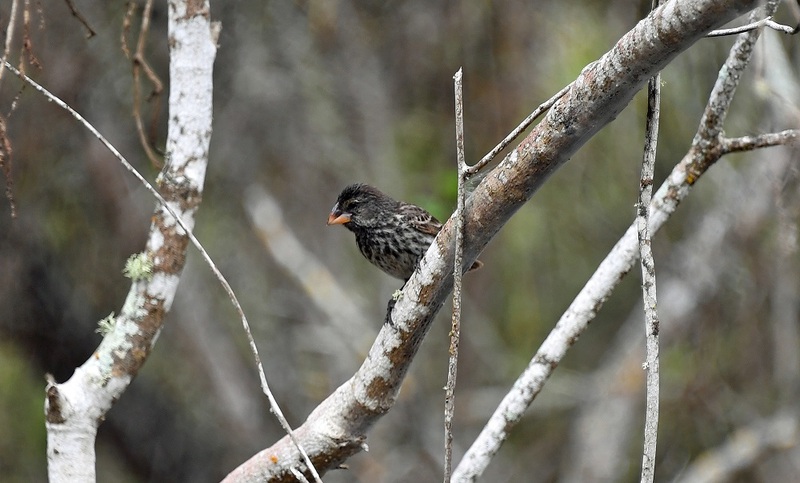 Figure 23 shows a cactus finch photographed in a cactus forest close to Tortuga Bay, while Figure 24 shows a sharp-beaked ground finch found in a scalesia forest near the Los Gamelos sink holes on Santa Cruz. As you’d expect, there are many other species of birds to be seen. Not being a bird-watcher, I wasn’t very professional at recognizing and capturing the various types, but I liked the plumage of the Yellow Warber, photographed at the tortoise reserve at Santa Cruz (Figure 25) and the stance of the Mocking Bird, photographed on the edge of the caldera of the Sierra Negra volcano (Figure 26). Moving closer to the sea, there were lots of brown pelicans to see. 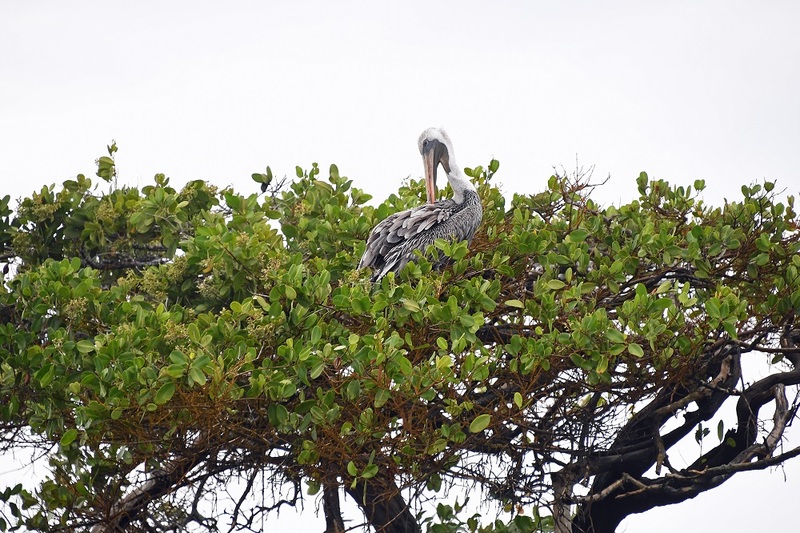 I like this shot (Figure 27) of a pelican sitting on top of a mangrove tree. Crabs seemed to be much more obvious and brightly colored than they are in Ireland. 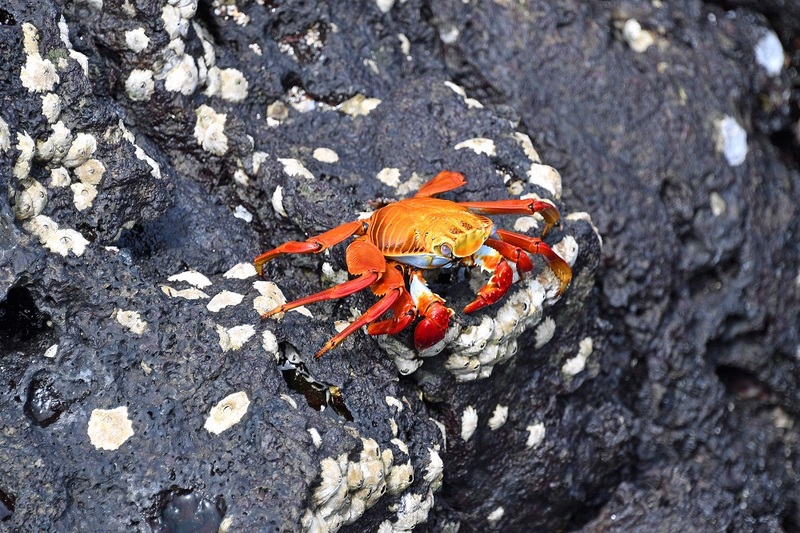 Young crabs are dark to camouflage themselves against the black lava rocks, but the mature “Sally Lightfoot” crabs are bright red, which is thought to serve as a warning to would-be predators to avoid them. Not that it did much good when sea lion pups were around. The crabs are very agile and move across lava rocks with speed. 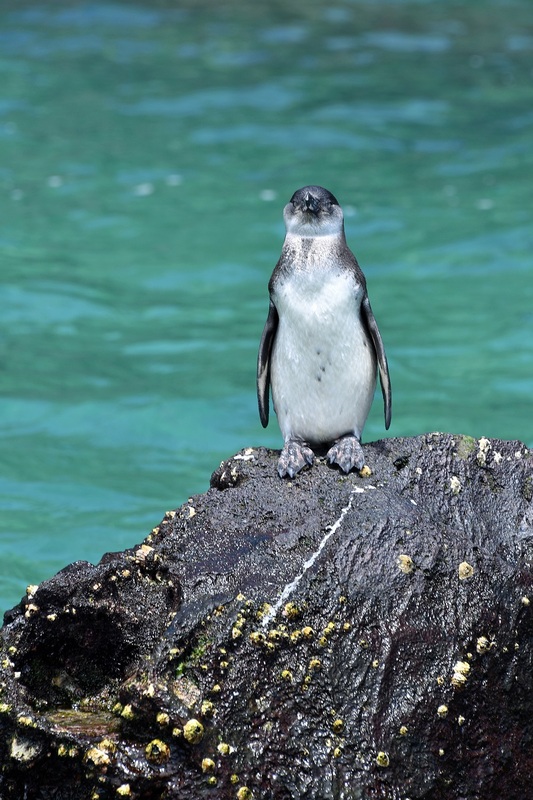 They are also capable of jumping from rock to rock to find food to eat or escape from predators. The Galapagos has lots of hermit crabs too. 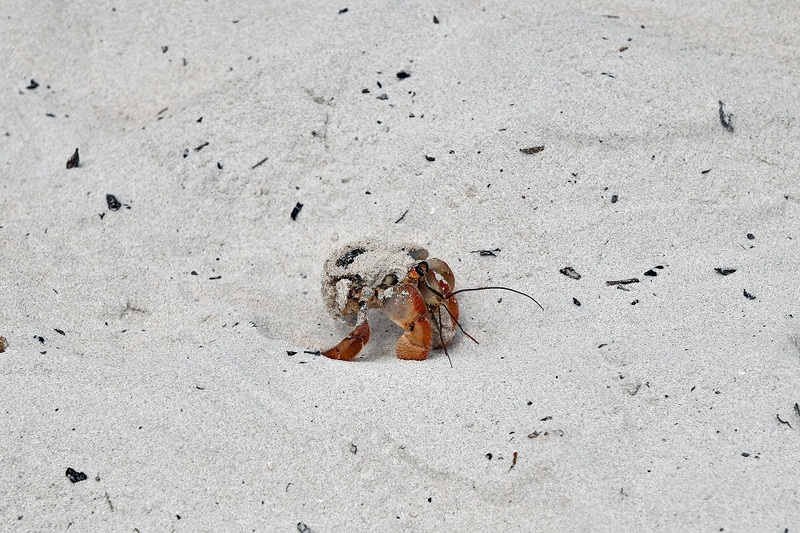 This one (Figure 29) was scurrying along the sand at Tortuga Bay looking for a new shell to call home. 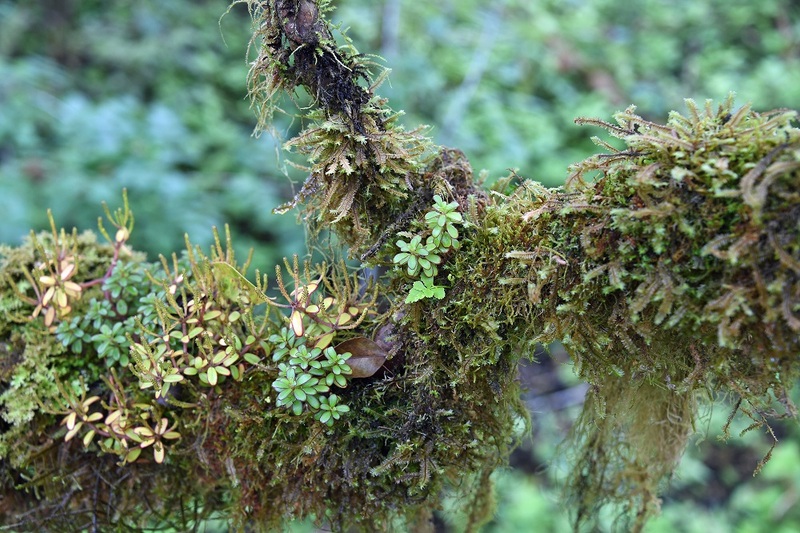 The animals attracted most of our attention, but some walks through different areas of the Galapagos generated some nice shots of mosses (Figure 30 and 31) growing on trees. I don’t normally pay much attention to this kind of stuff, but I was attracted to the shapes and profusion of growth covering the trees. 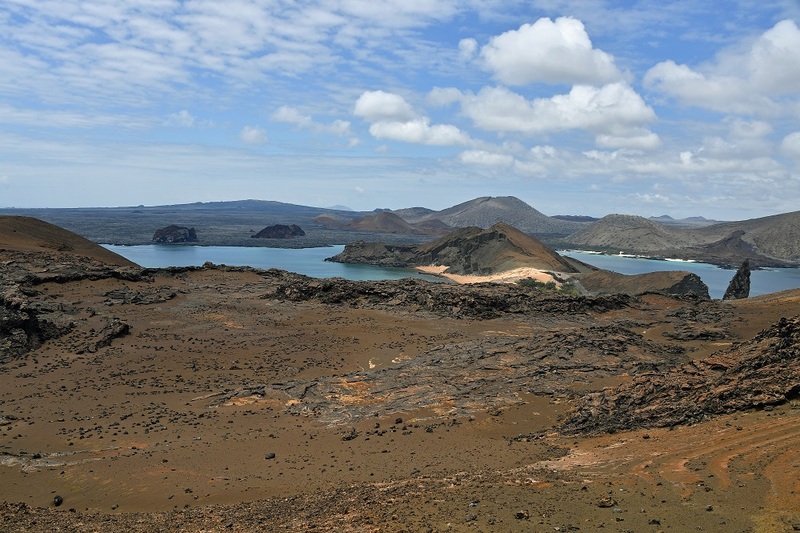 The Galapagos landscape changes from place to place and depends on whether you’re in the highlands (for example, on the side of a volcano), down by the shore, on a lava field, or elsewhere. One of the nicest landscapes we saw was looking down from the climb to the viewing platform on Bartolemé island towards Pinnacle Rock and the beaches that we later snorkeled around (Figure 32). 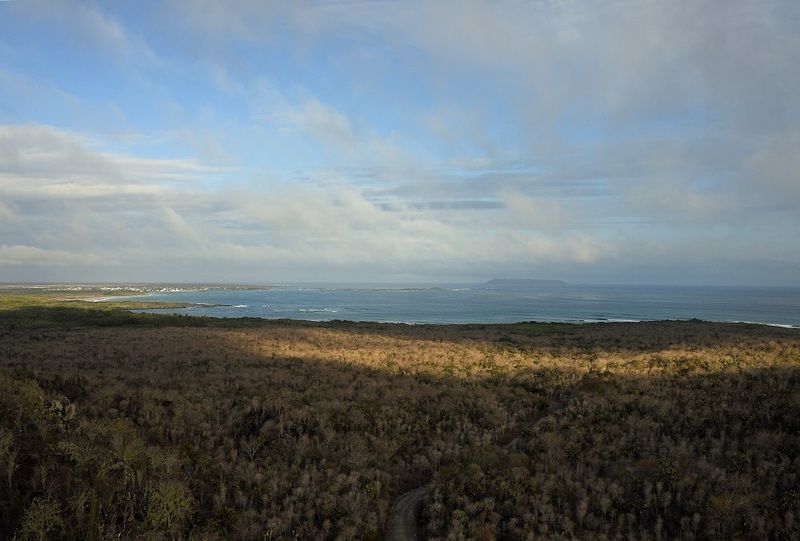 The red appearance of the land is due to the relatively recent (in millions of years) age of the lava that created the island and the erosion and rust (of the iron in the lava) that generated the sand-like soil. 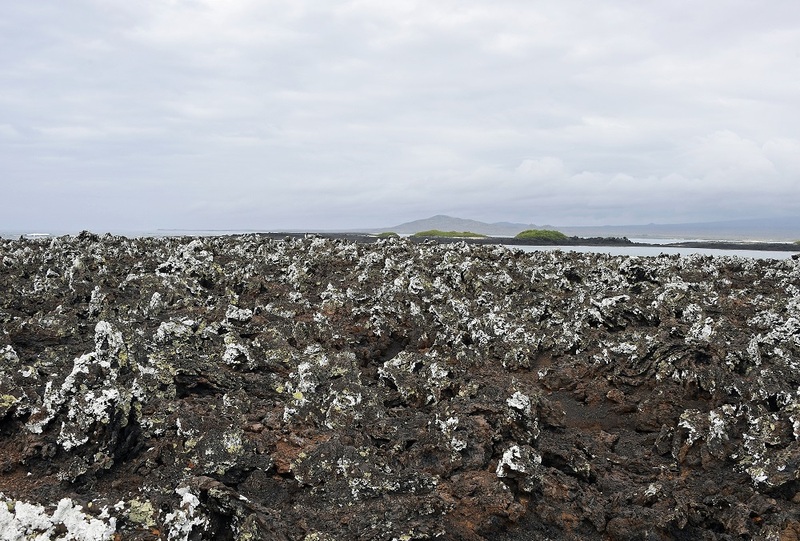 You can’t avoid lava in the Galapagos because that’s how all the islands came into being. The last major flow on Isabella was in 2005 and the lava is now settling down in the caldera of the Sierra Negra volcano (Figure 33). 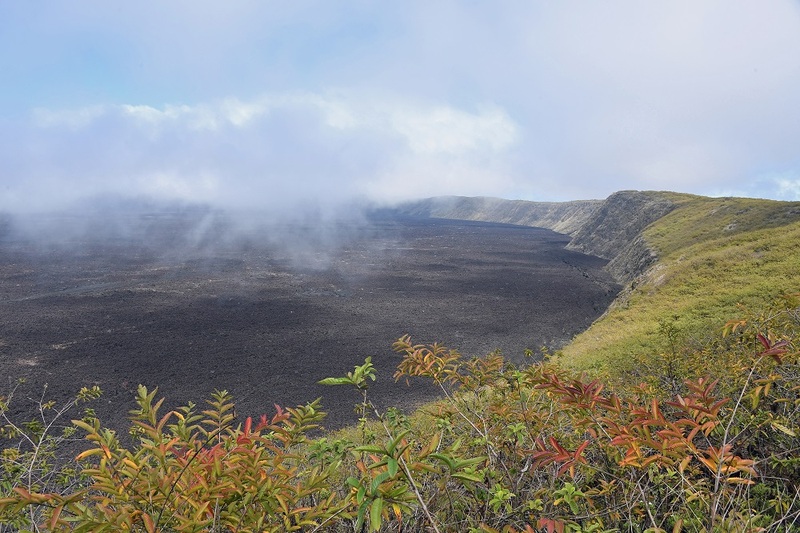 Getting to the caldera involves a reasonable walk and the view is often disappointing because of cloud and mist. As you can see, the cloud cleared briefly to give a view. Recent volcanic activity has made the park authorities close off part of the walk, so this is about as close as you can get to the caldera. Another recent outflow (in lava terms) is on Santiago island, where the lava forms some amazing shapes (Figure 34). Yet another type of lava is on the small islet of Tintoreras, just off Puerto Villamil (Figure 35). 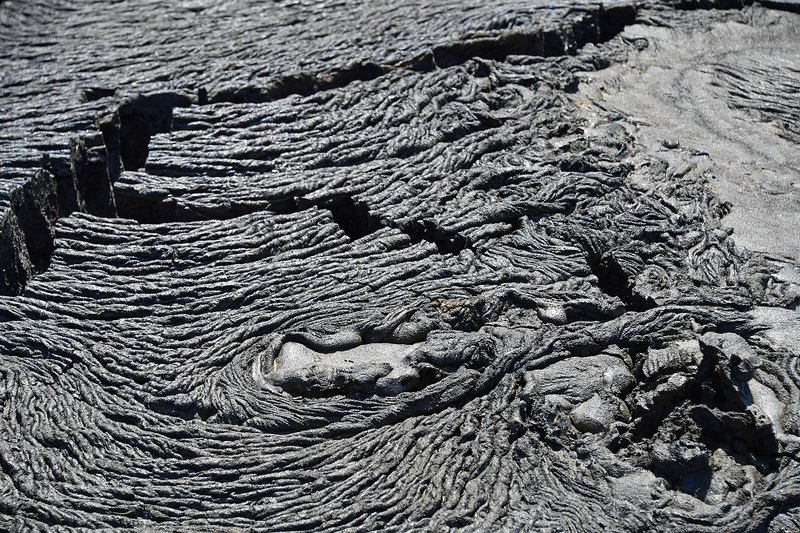 This lava is jagged rather than smooth and has razor-sharp edges that make it very unpleasant to fall against. The iguanas don’t seem to mind. The Wall of Tears on Isabella (Figure 36) offers another type of landscape. 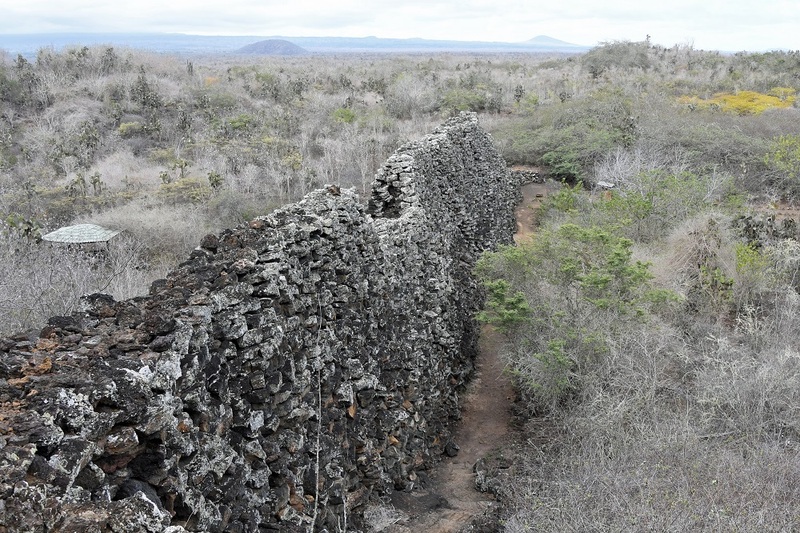 Built by political prisoners from lava rocks in the years after World War II, the wall sits in the middle of the countryside with nothing else around it. On the way back to Puerto Villamil from the Wall of Tears, you can climb a viewing platform (Cerro Orchilla) to get a nice view of the town, its beach, and Tintoreras (Figure 37). For those interested, I used a Nikon D5 with a Nikkor 28-300mm zoom to take all the photographs. 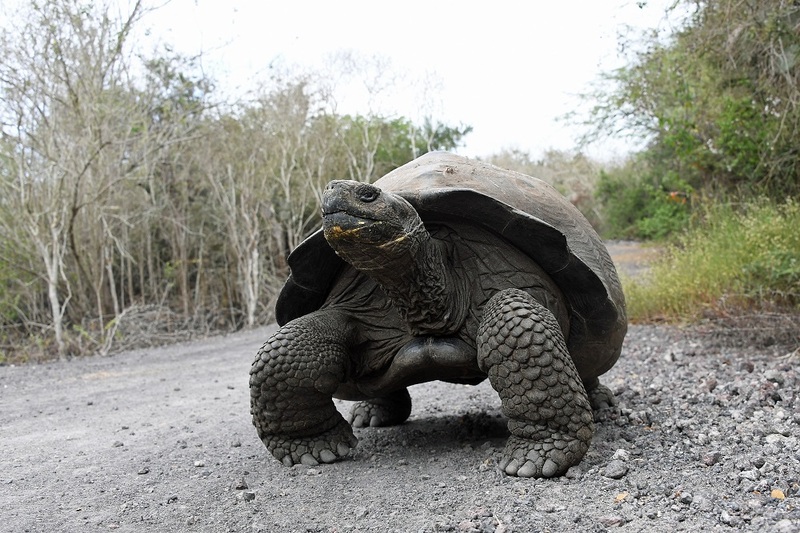 No flash was used because this is forbidden when photographing animals in the Galapagos. Interestingly, some of the shots taken on my iPhone 8S were nearly as good, even if they never approached the quality of the optical zoom. Many of the activities were water-based. I wish I had brought a waterproof camera suitable for snorkeling (waterproof to 10 feet or so) so that I could have taken photos of the sea turtles, reef sharks, and various forms of rays that we were able to swim with. I also wish I had brought a swim vest. The sea is a lot warmer than it is in Europe, but cold currents have a nasty habit of coming along to spoil the party. A swim vest would also help with sun protection. 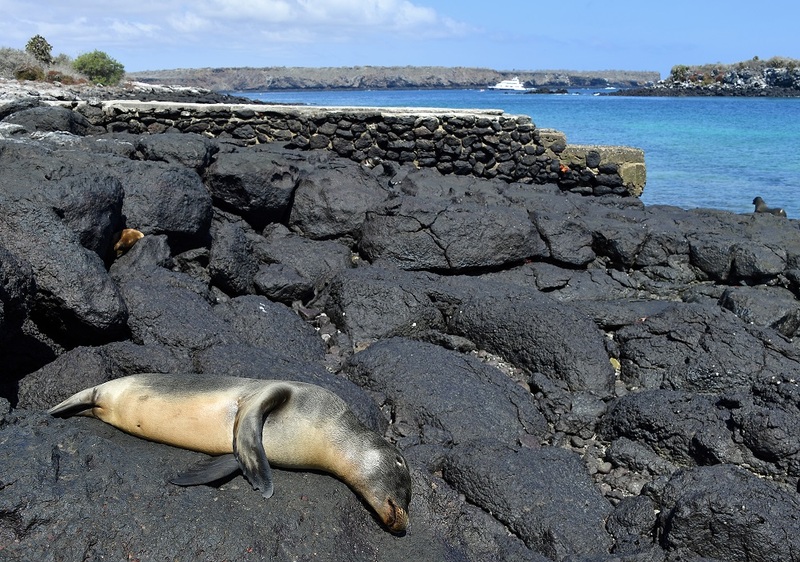 The Galapagos are close to the equator and it’s all too easy to get sun burned, even with factor 50. The rear of the knees are particularly sensitive if you snorkel. If I had been intelligent, I would have brought along a mask with a lens adjusted for my sight. The tour people give out masks with normal lens, which are fine if a fish comes up close, but rapidly become useless when the fish are more than a few feet away. Like a fool, we left our excellent Tilley hats behind in Ireland. You need hats in the Galapagos, so if you make the same mistake, buy a hat (they are available in stores in Quito and Baltra airports). 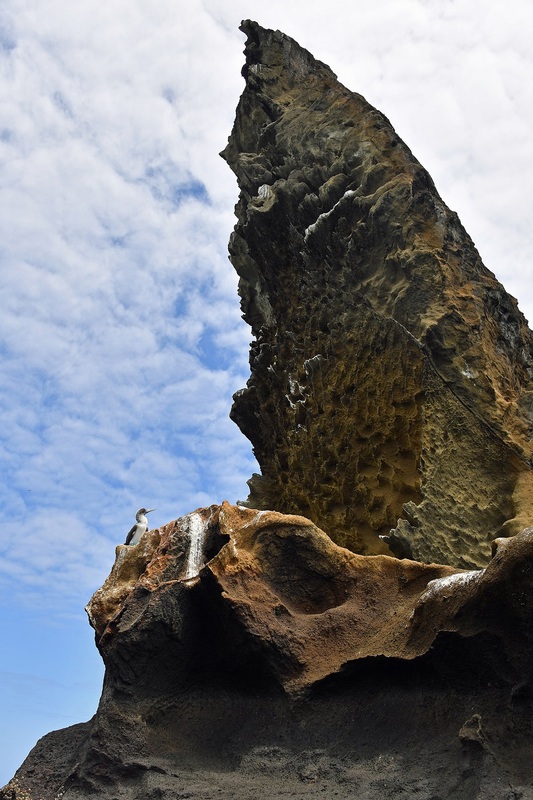 If you do go to the Galapagos, enjoy the experience and go with the flow. The animals will do the rest.